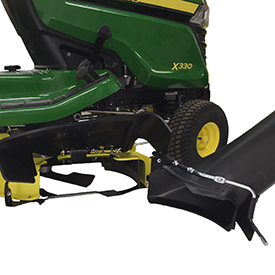 Mulching prevents the discharge of material completely and a MulchControl attachment makes mulching a practical solution for most mowing situations. 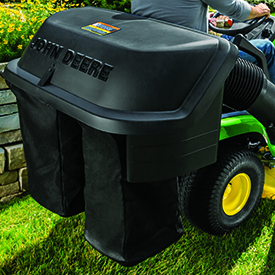 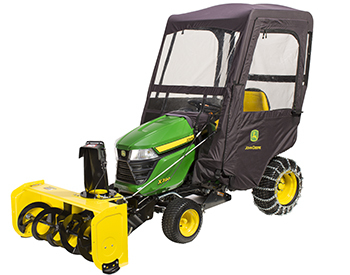 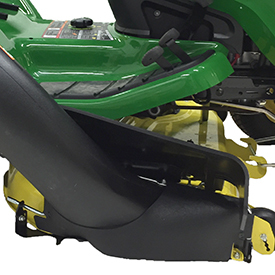 With the lever-action MulchControl attachment, the MulchControl handle on top of the mower deck is used to engage or disengage mulch mode. 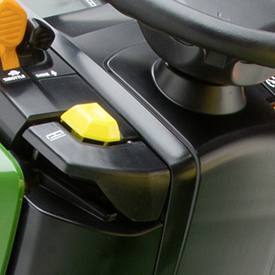 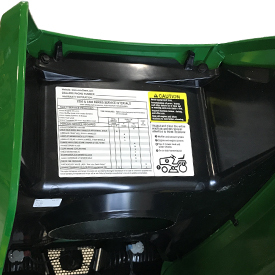 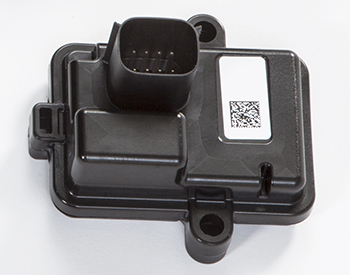 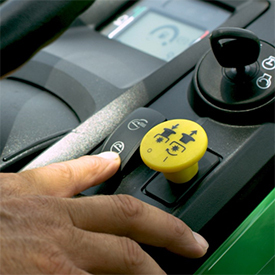 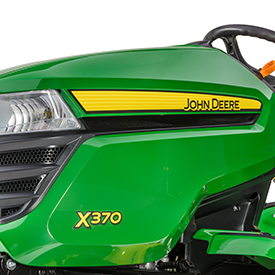 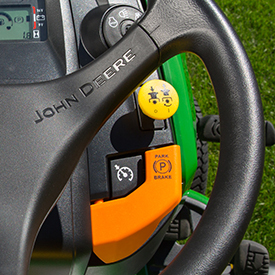 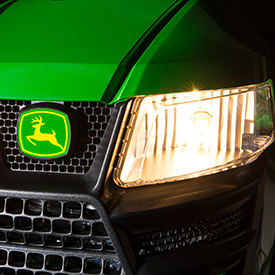 With an electric one-touch MulchControl attachment, an electric switch on the tractor dash is used to engage or disengage mulch mode. 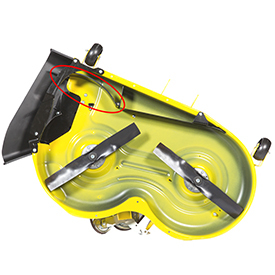 Changing from mulching to side discharging or vice versa takes only a few seconds. 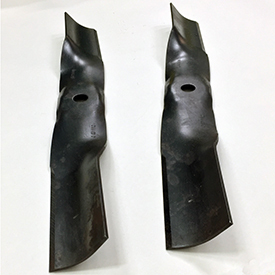 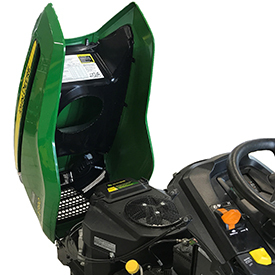 With an optional lever action or electric one-touch MulchControl attachment installed (along with the special mulching blades), changing from side-discharging to mulching or vice versa is done with the simple flip of a lever or touch of a switch. 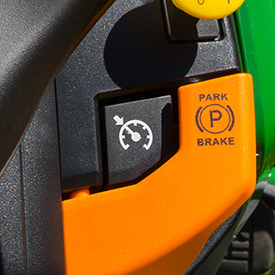 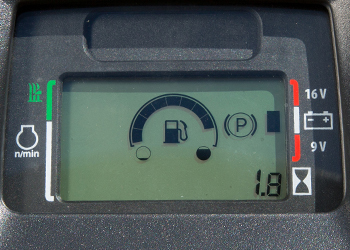 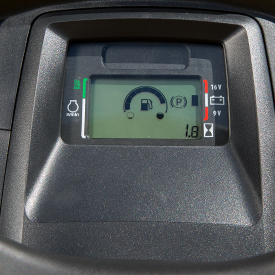 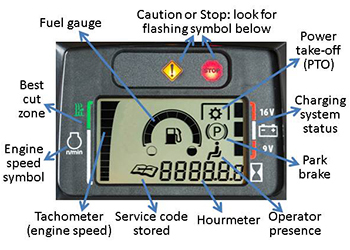 Controls are color coded for easy identification by the operator. 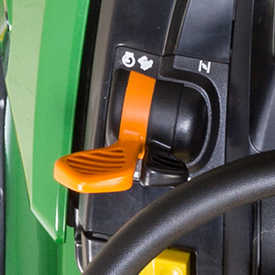 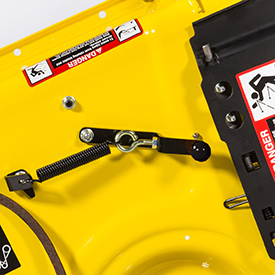 The hydraulic-lift control and the park brake latch are pivot levers for low effort. 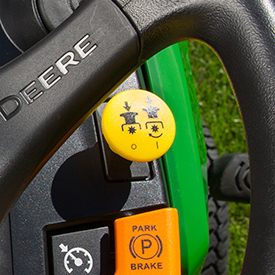 Power steering takes the work out of turns. 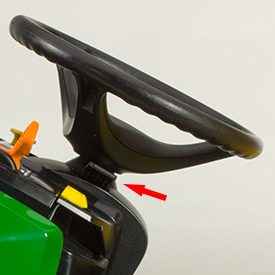 Tilt steering wheel adjusts for operator comfort (X390, X394). 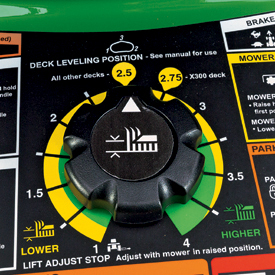 Storage for the onboard deck-leveling gauge and the Exact Adjust tool is provided in the storage tray under the tractor’s seat. 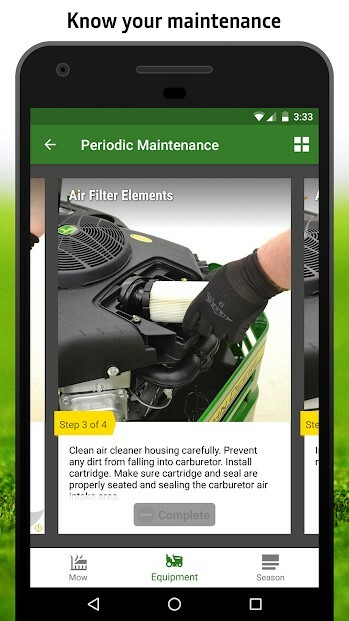 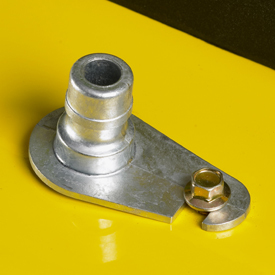 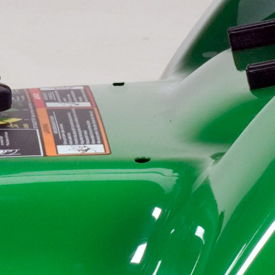 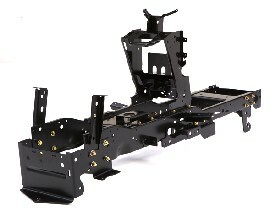 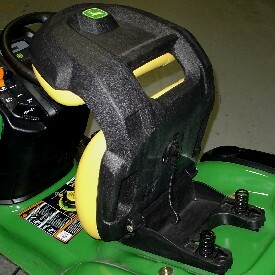 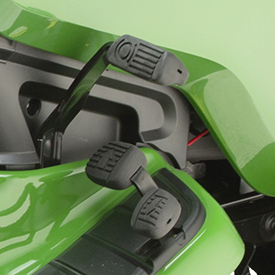 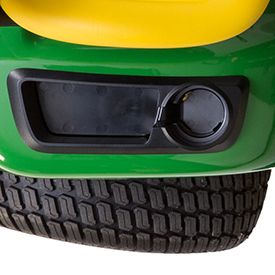 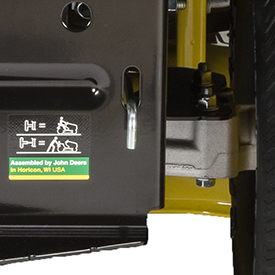 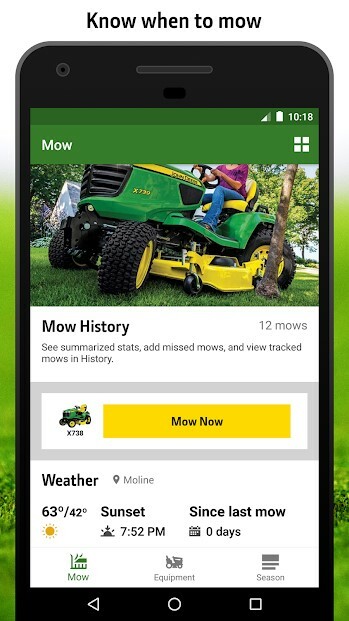 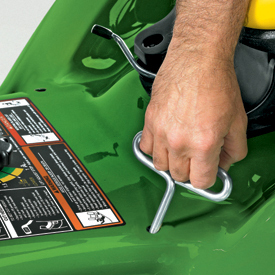 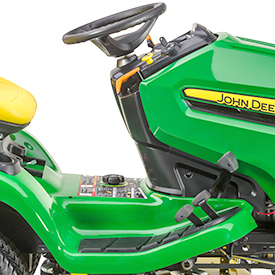 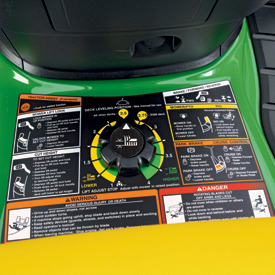 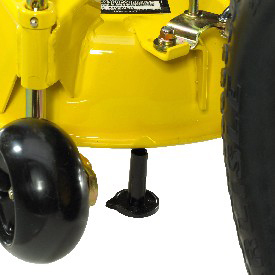 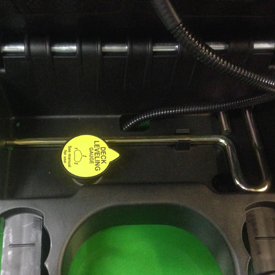 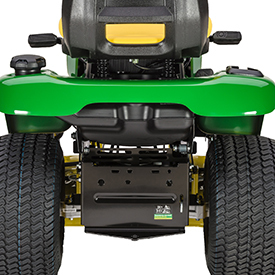 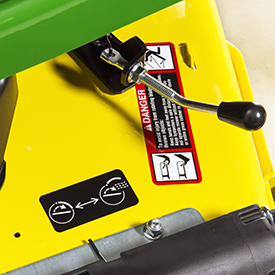 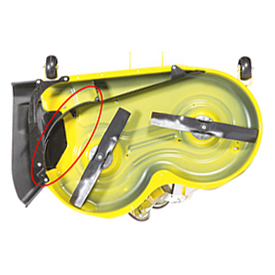 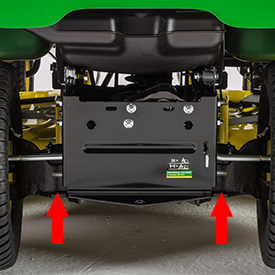 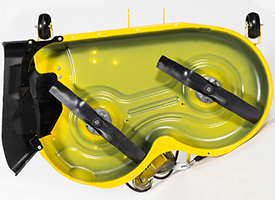 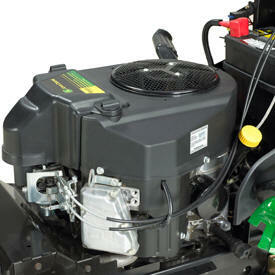 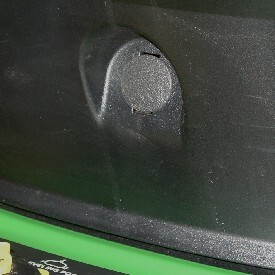 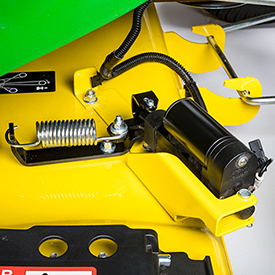 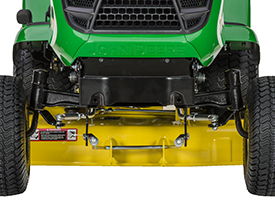 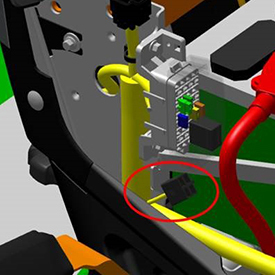 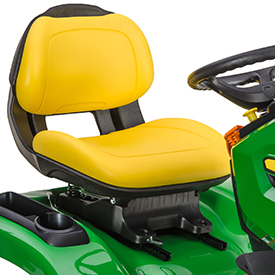 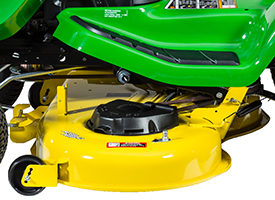 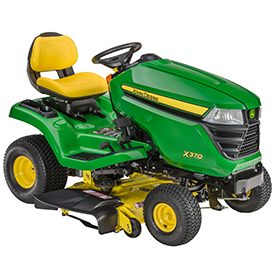 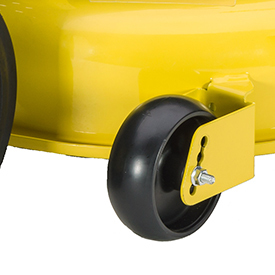 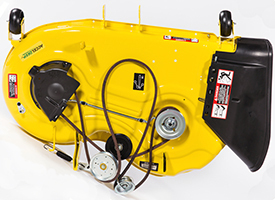 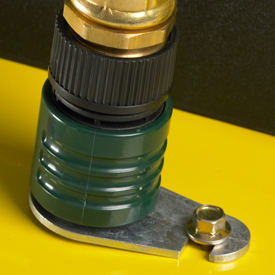 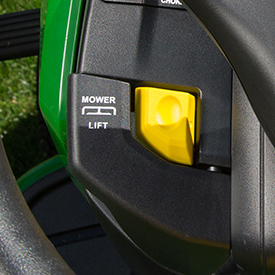 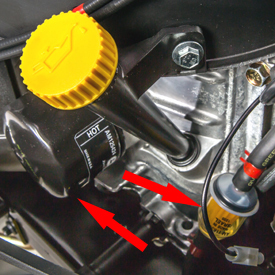 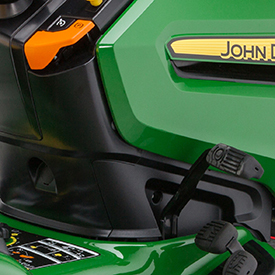 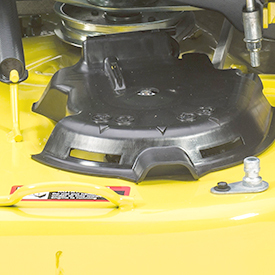 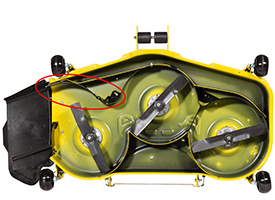 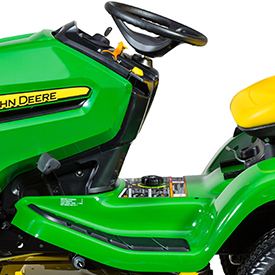 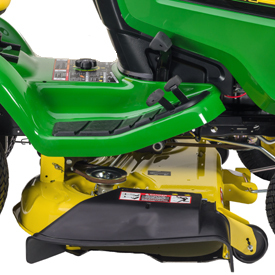 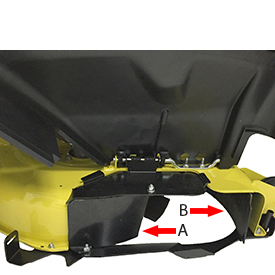 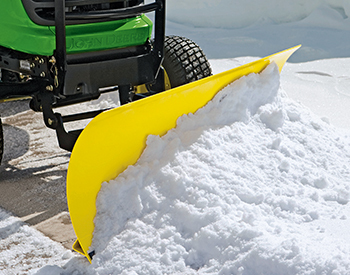 Exact Adjust ports allow for easy and accurate leveling of the mower deck for optimum mowing performance. 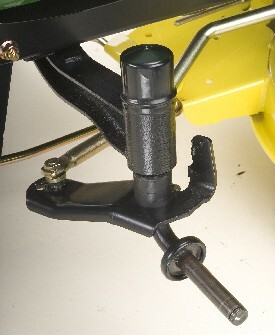 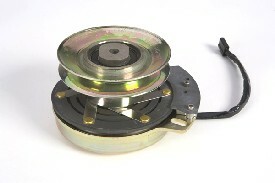 Depressing the brake pedal applies internal wet-disk brakes (increased durability and longer life) for safe stopping. 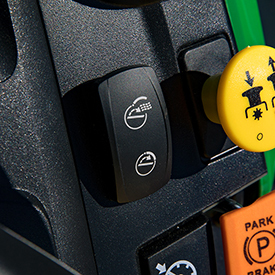 A parking brake control is conveniently located for easy access; it holds the brake pedal securely in locked position. 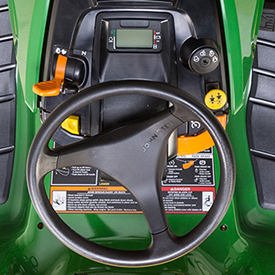 The hydraulic lift control lever is positioned on the dash near the steering wheel for quick, easy, and precise fingertip control of equipment. 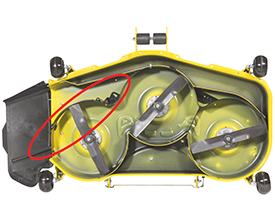 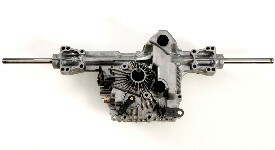 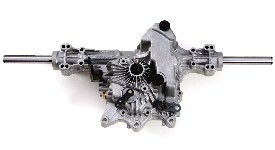 Implement float, which allows an implement to follow the ground contour, is built into the lift linkage.